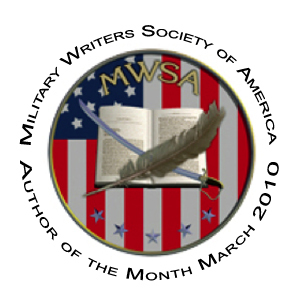 Writer's Digest Honorable Mention for Books of Poetry. Carolyn's first person essay, "Beating Time at Its Own Game." Carolyn Howard-Johnson’s “Imperfect Echoes: Writing Truth and Justice with Capital Letters, lie and oppression with Small” is just perfect. This Los Angeles award-winning poet lays out the landscape of her contemplative thoughts, feelings and reactions with such honesty and deceptive simplicity that they have the effect of offering a peek into her private journals. What puts this poetry on par with leaping tall buildings is the fact that each poem manages the feat of conveying personal and universal relevance at once. Howard-Johnson deftly blends the "Truth and Justice" observations with the "Small" moments of "lie(s)" and "oppression" as they intersperse through her poet's journey. The poems in “Remembering What We Must” address the stark realities of war and global misery, which Howard-Johnson treats with her practiced light touch that floats like the proverbial butterfly and stings like an outraged bee. In the “Acceptance: Waiting for the Gift” section, “Relatives” takes on the ways in which "Small" minds can make a family dinner feel like a stint in Purgatory: “Perhaps you won't invite me back / if I mention that infamous / uncle. You know, the one who killed / three of his wives / but is candid / about who he is, / how many he's killed, / the methods he used / and never gets invited to dinner. Note: Proceeds from the sales will be donated to the non-profit human rights watchdog, Amnesty International. Carolyn Howard-Johnson’s poetry reflects her background in journalism. Her style owes much to her mentor Suzanne Lummis (star poetry instructor for UCLA Extension’s Writers’ Program) and by extension former US poet laureate Phillip Levine who was known for a straight forward style known as the Fresno School of Poetry. That school is down-to-earth—often with a nitty gritty edge—but more importantly, as least as far as Carolyn is concerned, the ability to find complete sentences across line breaks. Carolyn’s several careers prepared her for promoting her own books and those of others. She was the youngest person ever hired as a staff writer for the Salt Lake Tribune—“A Great Pulitzer Prize Winning Newspaper”—where she wrote features for the society page and a column under the name of Debra Paige. 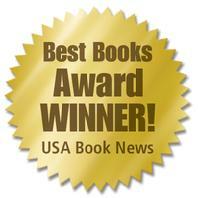 That gave her insight into the needs of editors, the very people authors must work with to get free ink. Being familiar with the way news is handled helps her see how different books—even poetry—fit into different news cycles. Later, in New York, she was an editorial assistant at Good Housekeeping Magazine. She also handled accounts for star fashion publicist Eleanor Lambert who instituted the first Ten Best Dressed List. Writing releases for celebrity designers of the day including Pauline Trigere, Rudy Gernreich, and Christian Dior required an eye for color and form. Those same skills were needed when she helped produce photo shoots for Lambert’s clients . . . and later as a poet. 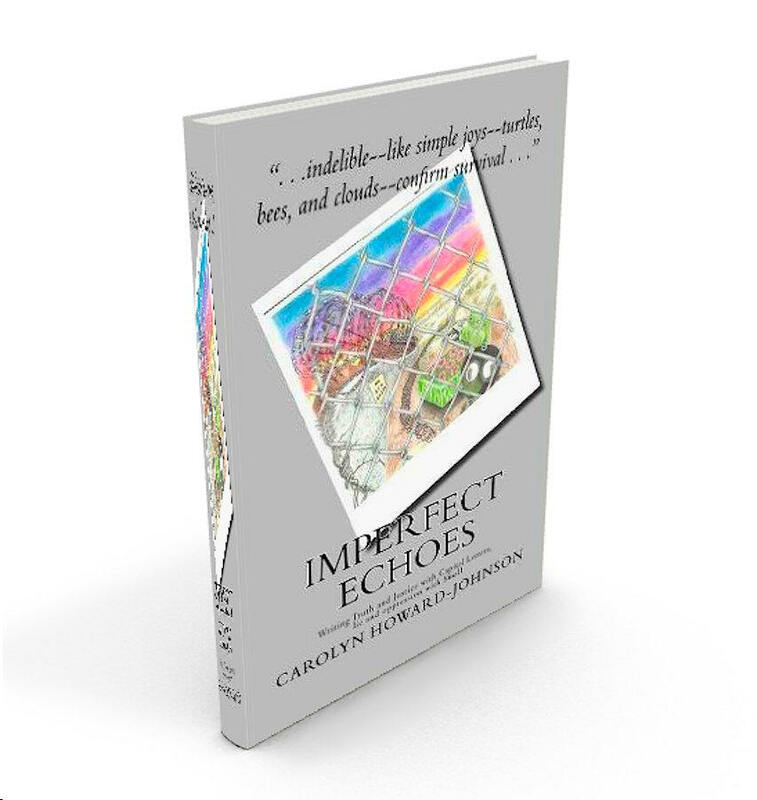 Carolyn’s experience in journalism and as a poet and author of fiction and nonfiction helped the multi award-winning author understand how different genres can be marketed more effectively. She was an instructor for UCLA Extension’s renowned Writers’ Program for nearly a decade and has studied writing at Cambridge University, United Kingdom; Herzen University in St. Petersburg, Russia; and Charles University in Prague. She worked as columnist, reviewer, and staff writer for the Pasadena Star-News, Home Décor Buyer, the Glendale News-Press (an affiliate of the LA Times), Myshelf.com, and others. 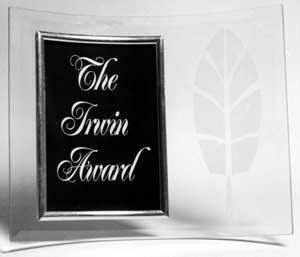 Her HowToDoItFrugally series of books for writers are all multi award-winners and her marketing campaign for the second book in that series, The Frugal Editor, won the Next Generation Indie Best Book Award for marketing as well as coveted awards from USA Book News, Global E-book Awards, the Irwin Award, and others. 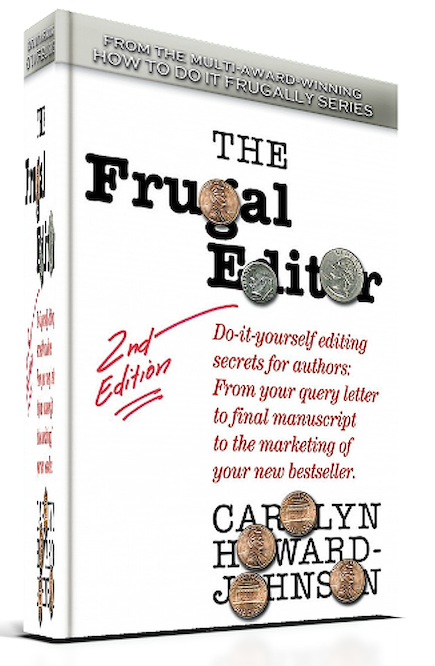 She also has a multi award-winning series of HowToDoItFrugally books for retailers. Howard-Johnson was honored as Woman of the Year in Arts and Entertainment by California Legislature members Carol Liu, Dario Frommer, and Jack Scott. 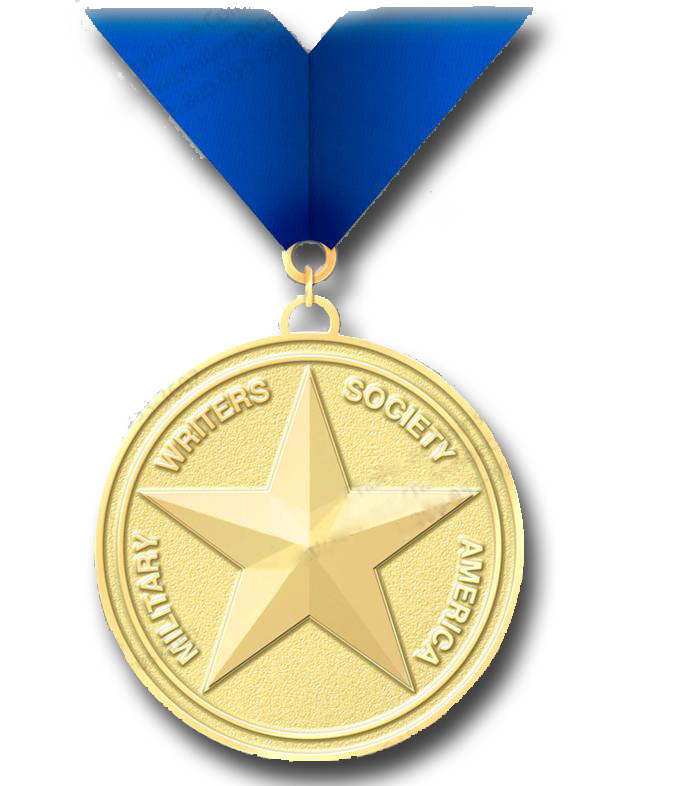 She received her community’s Character and Ethics award for her work promoting tolerance with her writing and the Diamond Award in Arts and Culture from her community’s Library and Arts and Culture Commissions. 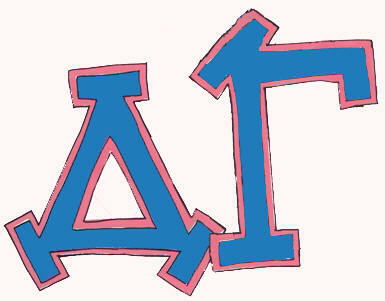 She was named to Pasadena Weekly’s list of “Fourteen Women of the San Gabriel Valley Who Make Life Happen” and Delta Gamma, a national fraternity of women, honored her with their Oxford Award. Carolyn is an actor who has appeared in ads for Apple, Lenscrafters, Time-Life CDs, Marlboro, Blue Shield, Disney Cruises (Japan) and others. She admits to being an English major in college but denies preferring diagramming sentences to reading a good daily newspaper. Her Web site is HowToDoItFrugally.com. She blogs writers resources at Writer’s Digest’s 101 Best Websites pick SharingwithWriters.blogspot.com and rants about wordiness and grammar issues at The Frugal, Smart, and Tuned-In Editor blog, TheFrugalEditor.blogspot.com. Richard Conway Jackson is serving twenty-five years to life for receiving stolen property in California. His days are filled with drawing and writing, some published in literary magazines. His art is catalogued by CHI-EY INC that publishes print-on-demand greeting cards using prisoners’ franchised art. His work was also published in an issue of Rebel Rodz magazine and two poetry books: Swallow (Amsterdam Press, 2009) and Barbie at 50 (Cervena Barva Press, 2010), by Jendi Reiter. The artist is waiting for Recall of Sentence proceedings in Los Angeles Superior Court. In 2015 he will have spent twenty-one years in California State prisons. 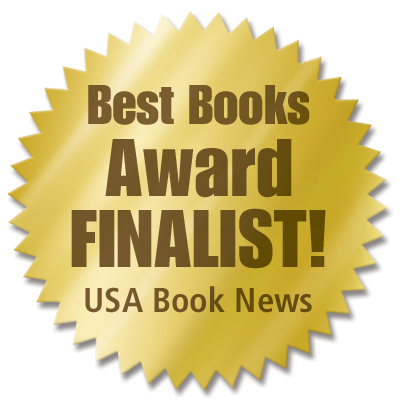 Synopsis: "Imperfect Echoes: Writing Truth and Justice with Capital Letters, lie and oppression with Small" is a work that was inspired by Nobel Prize winner Czeslaw Milosz's poem "Incantation" that lauds the power of human reason over the reoccurring and seemingly insane political realities. In "Imperfect Echoes", author Carolyn Howard-Johnson holds out hope but is not persuaded by trends that seem worse now than they were in Milosz's time. A student of Suzanne Lummis, UCLA poetry instructor and the Fresno School of Poetry fronted by US poet laureate Philip Levine, Carolyn touches on the isms of the world--racism, ageism, even what might be termed "wallism" but was once referred to as xenophobia. In her poem "Crying Walls," she sounds a low warning reminiscent of Robert Frost: "Chains linked. Wire barbed,/ Krylon smeared. Feeble,/ useless, unholy billboards,/ anything but mending walls." Critique: Carolyn Howard-Johnson is articulate, gifted, insightful, iconoclastic, and a truly impressive literary talent. "Imperfect Echoes: Writing Truth and Justice with Capital Letters, lie and oppression with Small" is an inherently fascinating, thoughtful, and thought-provoking read that is very highly recommended for community and academic library Contemporary Poetry collections. 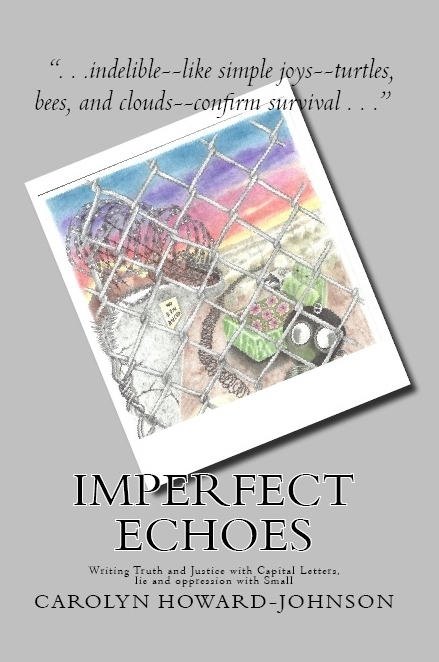 For personal reading lists it should be noted that "Imperfect Echoes" is also available in a Kindle edition ($2.99). along the Rio Grande. Walls. On the occasion of my visit to the Russian monument commemorating the siege of Leningrad. To commemorate what happened here, bronze erupts from a slope slanting from the highway to the Neva. A tonsure surrounds its thrust, bald land circled by summer’s sod, trampled, evidence of those who stop along the way to Staraya Ladoga. This artery led the Nazis to Leningrad, opened itself a spliced vein onto those behind its battlements. Numb. Soldiers fertilized it here with relics, pocked the path with remnants of their siege. My uncle’s souvenirs laid out on a chenille spread. A Glock. A green iron cross. A canteen in a canvas pouch. His own Purple Heart. A breeze from the river evaporates memories. At the monument’s base rusty memorial bouquets. This helmet. That blade. An exhausted hose, corrugated like a windpipe. Here a mask; huge grasshopper head, mandibles, vacant eyes. They tarnish there. No one here thinks to carry them home. 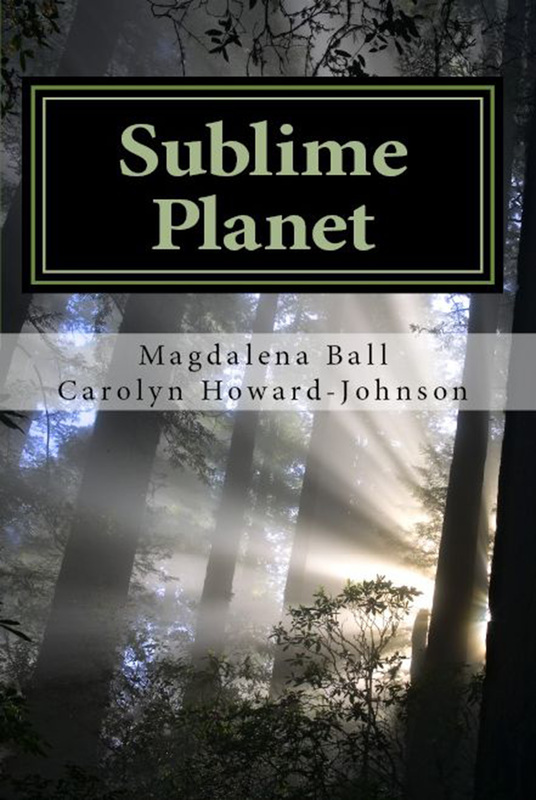 Most of Carolyn's books are also available for the Kindle reader. Did you know that with the Free app, Kindle can be adapted to any reader--even your PC! For a list of resources on tolerance related movies, books, organizations, and more, click here. Chaz DeSimone is my book cover designer, logo whiz, and marketing partner. He is always right there with his poster program, too. He always has one that fits my most recent efforts--poetry, promotion, or about anything else! Check out his free Ampersand posters. "There are not enough compliments I could give to Carolyn. She is certainly a mentor of mine and such a tremendous inspiration! What doesn't she do, and do well, after all? Talented as a writer/author, she is also an amazing marketer/promoter who is generous with her time and talent with other publishing professionals. Carolyn is a STAR in the publishing community and I give her the highest recommendation I can give to any colleague I have. If you want a passionate professional who delivers, Carolyn is your woman!"